A comprehensive course for drummers and an unbeatable value. Includes 2 Books, 2 Posters and Online Audio and Video. 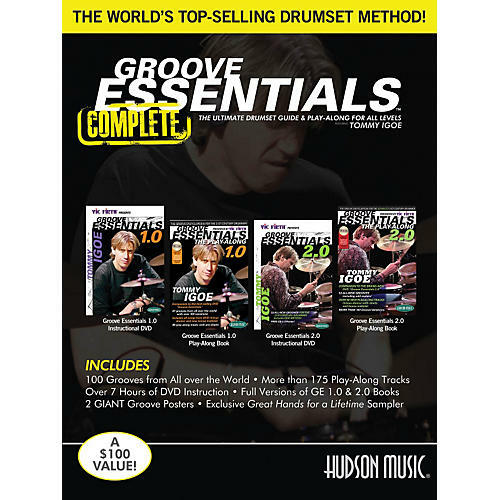 Now you can order all of the books, examples and posters available in Groove Essentials 1.0 and 2.0 in one comprehensive pack for only $59.99! Popular drummer and educator Tommy Igoe is featured here on his best-selling book, demonstrating techniques that have made him one of the world's most in-demand drummers. This is an amazing amount of material. Get started today.